Save money on everything from power tools to garden supplies at Casselton Hardware Hank. We offer a great selection of tools, hardware, building supplies, and much more. Check our prices before shopping at the big box stores. We offer great deals you won't want to miss. When you shop at Casselton Hardware Hank, you'll receive friendly, personalized service. We let you test out new products before you buy them, and our knowledgeable employees are on hand to teach you how to use them. We also stand behind every product we sell. If you have any issues with your purchase, simply bring it back to our store and we will take care of it for you. Add beauty and color to your property with plants and flowers from Casselton Hardware Hank. 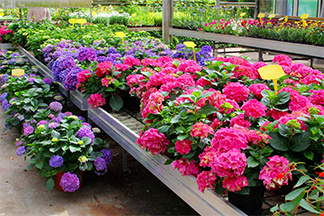 Our well-stocked garden center opens on May 1st every spring.